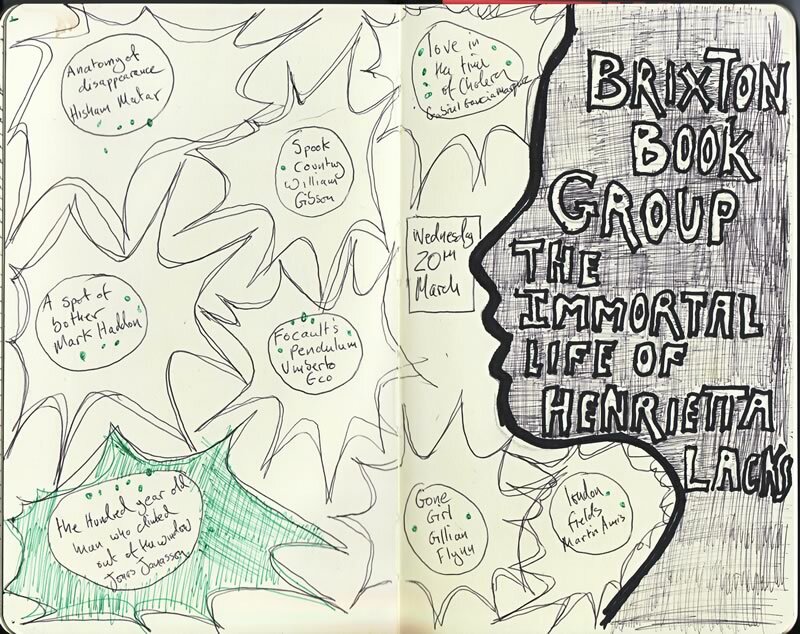 Another busy meeting – I think everyone enjoyed the Immortal Life of Henrietta Lacks, even if perhaps we wanted a bit more about Henrietta, the science stuff and maybe a bit less about Rebecca. Still there’s the foundation page here: http://henriettalacksfoundation.org so some stories have a happier ending. The book for next time is The Hundred-Year-Old Man Who Climbed Out of the Window and Disappeared (it’s 20p on kindle, but don’t let that sway you) by Jonas Jonasson. Runners up were Anatomy of disappearance, A spot of Bother, Spook Country (It’s the T-shirt thing! I’m going to keep suggesting it), Love in the Time of Cholera, Gone Girl, Focault’s Pendulum (shits all over Dan Brown), and London Fields. Next meeting is on WEDNESDAY 20th March in Mango Landin from 7.30ish.